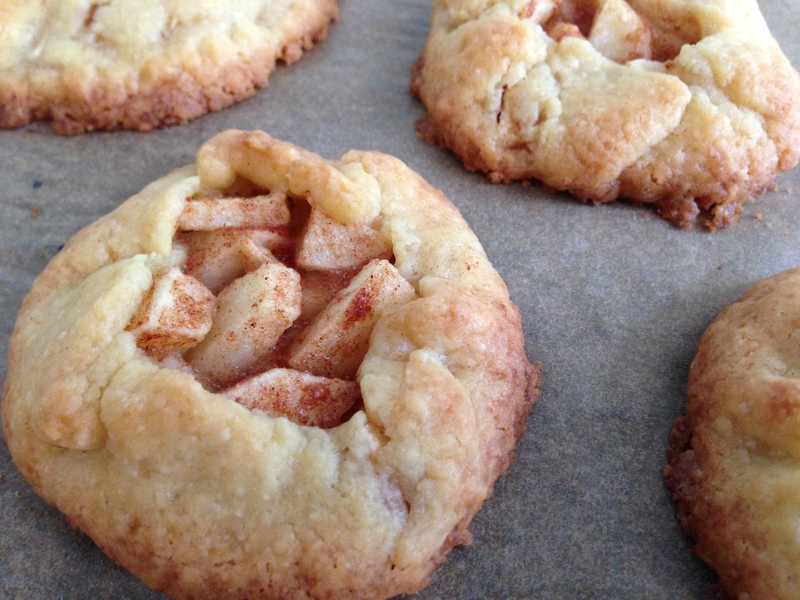 apple galettes (with carbalose flour) | what is clara eating today? Mix Carbalose flour and Truvia. Place the flour mixture, butter, and egg yolk in a food processor and pulse to make crumbly mixture. (or quickly combine using hand, but you need to work quickly so the butter does not melt). add ice water a little at a time to make dough. wrap the dough in plastic wrap and place in the freezer for 5 minutes. break the dough into four pieces. Between two parchment papers, roll out each dough to a circular shape. place 1/4 of the apple filling on top and fold in the edges. repeat for the remaining three. place on a parchment paper lines baking sheet and bake at 350F (preheated) for 13-15 minutes, until the crust is golden brown. Please check with your dietitian before using carbalose flour to see if it is allowed for your diet. Where can you buy this carbalose flour and if I can’t get what nut flour do you think would be comparable to it? I need it today if you can hopefully help me that quickly…Thanks! using coconut flour would work too. might need to use a bit less of it.